Why is my facial skin dark or discolored? Could Your Stomach Be the Cause of Dark Skin Spots of Breakouts? 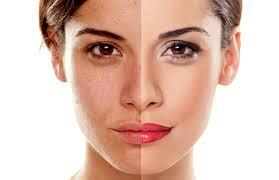 Many women, of all ages, races, and nationalities, experience skin darkening or “hyperpigmentation”. Sometimes, hyperpigmentation can appear as isolated dark spots on the face and neck. Other times, women experience dark facial skin around the mouth or neck, or entire facial area. In some areas of the world, skin whitening of the face is desired for social reasons. Whatever your reason for wanting your face, we provide you with a guide on how to achieve lighter skin. It is possible to use face whitening creams, bleach creams and other methods to reverse dark facial skin. Continue reading to find out why you may experience hyperpigmentation or dark face skin, and for beauty tips on face whitening. Our lifestyle, in addition to genetic factors, are usually the culprits of unwanted dark facial skin. In this section, we will provide a brief overview of hyperpigmentation’s main causes, followed by an overview of prevention and reversal methods including face whitening tips, face whitening cream and face bleach. If you believe that any of these factors applies to you, read below for more detail, and for prevention and treatment options. According to Fiona Tuck, Skin and Nutrition Expert and author of The Forensic Nutritionist , pigmentation or skin discoloration can be caused for a variety of reasons. Our skin contains specific cells called melanocytes that produce pigment in the skin which is called melanin. This is a natural response to protect neighboring skin cells from DNA damage as melanin helps to protect or shield the cell from damage. This is why we tan for example when the cells are exposed to UV rays. Often when we see hyper-pigmentation or discoloration of the skin it can mean that the cells that produce melanin have been over stimulated. This can occur due to a variety of different factors internal factors, such as hormones, or external factors, such as UV light from the sun. Other research research suggests the stomach plays a very important role in skin spots and blemishes. Fasting on vegetable juices over a period of time is a fantastic way to detox the gut and skin. However, there is also Leaky Gut Syndrome (I have also personally had and healed this myself) that could need to be addressed. After detoxing, the diet of course plays a huge role in fostering clear skin. Stocking up on lots of good vegan based fats such as avocados, nuts, seaweed, cold pressed nut and seed oils in addition to olive oil and coconut oil is a good practice. According to my doctor, the most important medical point is that skin pigmentation may be more than a cosmetic issue. The serious skin cancer melanoma can present as a pigmented lesion on the skin. If you notice a new pigmented lesion on your skin the following factors may be a red flag that the lesion is a melanoma. While these points are helpful – the safest approach if you notice a new pigmented lesion or a change in an existing freckle or mole is to visit your doctor/general practitioner for an assessment . To cosmetically reduce non-serious skin pigmentation I recommend Vitamin C containing products. Vitamin C is an anti-oxidant and inhibits the enzyme tyrosinase. By doing this, less melanin pigments are produced. The best way to whiten your facial skin, is not allowing it to get too dark in the first place! There are several methods used to prevent dark facial skin, and even to reverse it once it occurs. The following is an overview of these measures; for more detail on each of these, continue reading below. Wear a high quality sunscreen every day, we recommend organic and natural sunscreens. Avoid those that contain synthetic ingredients. Looking for specific recommendations? Scroll below! If you have Melasma, one of the most effective and simple treatments is to reduce sun exposure. 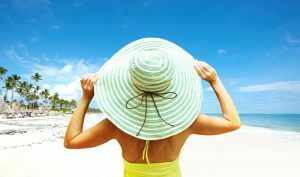 This can be achieved by simply reducing time outside, especially during the times of 12PM-3PM and with high quality sunscreens and protective clothing, such as hats (mentioned above). Ladies are more likely to have this condition than men and it often occurs during pregnancy making it active in times of hormonal changes – it is often referred to the “mask of pregnancy”. A doctor or dermatologist can diagnose and treat melasma. If you think you might be at risk, read below for more information. Too much copper in one’s diet can also contribute to hyperpigmentation. In addition, try not to eat too much processed food. Some people use face bleach as an alternative to whitening facial creams. You can also buy bleaching creams over-the-counter; an alternative is to have your dermatologist prescribe one for you. Dermatologists may also provide chemical peels for an immediate face lightening effect. Most facial bleaches contain hydroquinone, which is a face lightening chemical. For more information on bleach cream for face, and for potential risks and benefits of face bleach, continue reading below. Do-it-Yourself Face Lightening Cream, Face Wash, and Masks If you don’t want to splurge on face lightening cream or bleach cream for face, you can easily make your own at home! There are countless DIY face lightening recipes on the Internet. Below, we will provide 11 at-home whitening facial recipes. The best part is that these use regular household items such as lemon, honey, and turmeric, for example. Cosmetic Correction The alternative to face whitening cream or bleach is cosmetic or surgical correction. These are usually done by a dermatologist and can be costly, but they provide immediate face whitening results. For more information on costs and effects of these face whitening treatments, read below. If you’re concerned about any of the above mentioned causes of dark facial skin, or if you want to learn more about face whitening tips and how to prevent, treat, or reverse dark facial skin, keep reading. In the previous section, you read that melasma is a common skin condition which causes dark facial skin. Melasma can cause melanin coagulation. This means that your skin produces an excess amount of melanin, or pigment, and thus, hyperpigmentation– or unsightly dark facial skin– can begin to appear. Melasma is commonly referred to as “the mask of pregnancy”, because it often occurs during pregnancy, due to shifts in a woman’s hormone levels. It can also occur any other time that the hormones are out of balance– for example, when taking hormonal contraceptives, or birth control. Hormone therapy, stress, thyroid disease, and excessive ultraviolet exposure may also cause melasma. If you are pregnant or taking birth control and you experience melasma, your dark facial skin may disappear on its own once your pregnancy ends or you stop taking birth control. If the melasma does not go away, you may want to see a doctor; they can often diagnose melasma with a simple visual examination. The doctor can then refer you to a dermatologist, who can prescribe face whitening treatments, bleach cream for face, whitening face mask, face whitening cream, or other face whitening tips. Folate, vitamin C, and vitamin E are essential for whitening facial skin. If you’re concerned about dark facial skin, you may want to first see your doctor. He or she can conduct a blood test to diagnose any deficiencies which contribute to hyperpigmentation, and suggest face whitening treatments or nutrition plans for you. Some people who are deficient in the B vitamin that occurs in folic acid, or folate, can develop hyperpigmentation. In fact, this deficiency often occurs in women who are pregnant or taking hormonal birth control. If you are deficient in folic acid, you may take a folic acid supplement. You may also increase your intake of leafy greens, whole grains, citrus fruits, or nuts, all of which contain this essential B vitamin. Vitamins C and E contain certain antioxidants, which help reverse dark facial skin caused by ultraviolet damage. Try taking these in a supplement, or consuming more of them in your diet. Citrus fruits, kiwi, nuts, fish, and brightly colored vegetables (such as bell peppers) all contain these essential vitamins. In addition, if you consume too much copper, you may develop dark facial skin. If you take a daily multivitamin, check the label to make sure it does not contain more than 900 mcg for adults, 1000 mcg for pregnant women, and 1300 mcg for breastfeeding women. Also, try eating more of the above foods containing vitamin C to balance your body’s copper levels. Spending too much time in the sun is a leading cause of dark facial skin. These dark spots may not show up until years after you’ve spent day after day under the sun, so the best plan is not to wait until you already have them. For some beauty tips for face whitening and how to reduce the sun’s impact on your skin, keep reading. The first and most obvious step is to stay out of direct ultraviolet light exposure. If you don’t want dark facial skin, try not to spend hours outside. Even when it’s cloudy outside, you are still exposed to UV light. The sun’s light passes through the clouds just like it passes through tinted windows on your car. Please note that this includes tanning beds. Tanning beds expose you directly to harmful ultraviolet light. You should completely avoid using a tanning bed. Not only do these harmful mechanisms induce hyperpigmentation, but they also contribute to melanoma, or skin cancer. However, we know that you can’t live your entire life indoors. That’s why you should wear sunscreen every day, even if you’re only in the sun for a minute. Experts recommend wearing sunscreen with at least SPF 30 every day. Before you put on makeup, use a sunscreen with at least SPF 30 and let it dry. Look for a sunscreen that says “sheer” on the label; these will feel weightless alone or under your makeup. Alternatively, you can find moisturizer, BB cream, or foundation makeup that contains SPF. If your moisturizer, BB cream, or makeup doesn’t contain at least SPF 30, your best bet is to combine those other beauty products with a good sunscreen. For prolonged exposure to the sun, you should also wear a wide-brimmed hat. The hat will partially shield your face from direct ultraviolet rays. You should, however, still wear and reapply your sunscreen (preferably organic ingredient based) consistently. There are different types of face whitening creams, whitening face masks, face bleaches, peels, and serums which can be found at drugstores or beauty stores. Some of these aim to correct dark spots, while others provide an overall face lightening effect. Unlike cosmetic treatments, these whitening facial creams have a gradual effect, meaning you’ll have to use them for several days before you see a whitening effect. The following are some beauty tips for face whitening for the assorted variations of face whitening products. Hydroquinone cream is a face lightening cream containing a bleaching agent, hydroquinone. This chemical is also used to bleach facial hair, so it can be used by those with unwanted dark facial hair as well. This type of face lightening cream is usually used once or twice per day. Hydroquinone is not recommended for long periods of time due to some known side affects, there we recommend you avoid it if possible or use it for short durations. Kojic acid creams and serums also help with face whitening. This natural compound is often included with hydroquinone for a more effective face lightening cream. However, kojic acid can cause skin irritation. Glycolic acid cream, whitening face mask, and peels are often used for face lightening. Peels can be done by a dermatologist. Glycolic acid whitening face mask and cream can also whiten your skin when used regularly. It works by removing the outermost layers of the facial skin, which eliminates dead skin cells and leaves you with brighter, lighter facial skin. Be careful not to use it too much, though– when overused, it can make hyperpigmentation worse. Fade creams or face bleach can also be used for face lightening. These can be found over-the-counter, or can be prescribed by a dermatologist. At the same time, you don’t have to drop loads of cash for whitening facial cream, bleach cream for face, or whitening face mask– you can make your own! Here are some easy face whitening tips you can try at home. We recommend using the highest quality ingredients you can find – such as organic, non-GMO ingredients. This all natural easy to make facial spot remover recipe uses ingredients you probably already have in the kitchen cupboard! This powerful spot remover will bright your skin fast and lighten dark spots. These ingredients also help control bacteria that can cause dark skin to form in the first place thereby eliminating the source. Lemon juice has been used to lighten skin for thousands of year, including by the ancient peoples of Egypt! First, wash your face – this will help the paste work better and remove any oils that can interact or reduce the effectiveness of the spot remover. Spend at least a minute washing your face, massaging a high quality cleanser in circular motions then rinsing with warm water. Combine the above listed ingredients – you can larger amounts by simply multiplying the ingredients for additional uses. With the paste whipped up, apply it your face or target specific facial dark spots. Leave on for at least thirty minutes and then rinse off with warm or lukewarm water. Cinnamon is especially effective for reducing redness and improves blood circulation helping to better nourish the skin and remove toxins. Honey helps trap impurities and bacteria the skin which cause dark spots and skin in the face. Lemon is anti-bacterial and has whitening properties (it has been used for centuries to bleach hair) by way of the citric acid present. Lemon also contains alpha hydroxy acids that nourish the skin and fend off bad bacteria. 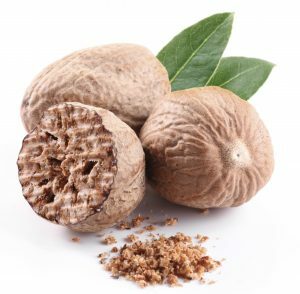 Nutmeg’s anti-inflammatory will help reduce dark spots by reducing their size, it also works against dead skin cells which are all too often responsible for dark spots and skin. Nutmeg has also been shown to fade out scars and other skin ailments – a true powerhouse not known by many. Sweet Almond Oil is a skin care powerhouse rich in vitamins and minerals that was not widely known until a few decades ago – used for centuries in the Mediterranean and Asia. Almond reduces blemishes and lightens dark spots in your facial skin while cleaning it thoroughly. The banana in this recipe further fortifies the mask with additional nutrients that will make your skin g-l-o-w beautifully! Wash your face, with a high quality cleanser and warm water, this will help the mask work better by washing off any oils and makeup you may have applied earlier. Lather up the soap and work it into your skin using circular motions for at least a minute. 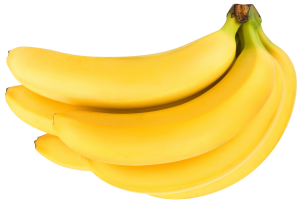 Mash one ripe banana well – avoid using plastic cookware. Combine the almond oil and banana mash together and massage into your face, using circular motions. Leave the mask on for at least thirty minutes and rinse off with warm water. Almond Oil has high quantities of Vitamin E, an important vitamin for skin health. Almond Oil is also rich in Zinc and numerous nutrients and minerals including. Almond Oil’s antioxidants help prevent oxidative stress from breaking down the collagen of your skin which is largely responsible for aging effects such as fine lines and loss of supple skin synonymous with younger skin. Collagen under your skin provides a padding like layer to keep your skin appearance youthful – when this layer degrades due to age, aging affects become more visible. 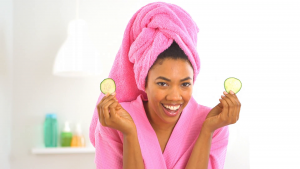 Cucumbers in facial skin care are a popular image – women wear slices of cucumbers over the eyes at the spa are not just folklore, cucumbers cool and soothe the skin. Combined with tomato juice, a surprising skin lightening agent that is found in most homes after grocery shopping, this face whitening mask will be easy and possibly delicious combination! Wash your face with a high quality natural cleanser, using warm water. Massage/lather the soap into your face using a circular motion to more deeply cleanse the skin. Mash the tomato into a pulp – use stainless steel cutlery/cookware. Vitamin A to activate skin cell creation and keep cells healthy which help form skin. Vitamin C to help your body create and maintain collagen, an important part of keeping skin look youthful and healthy. Vitamin B1 for improved blood circulation – which helps the skin receive nutrients more effectively and helps to remove toxins from your skin. Sandalwood is not a common skin care treatment, but do not let is relative lesser known status shy you away from its amazing skin brightening benefits. Combined with orange peel, this lightening mask whitens face skin while toning your face for better overall skin health. Read below on how to make the mask, and some of the benefits of it! Wash your face: as with all suggested treatments, washing your face with a high quality cleanser is essential. This will help prep the skin to better receive the mask – use warm water and massage the lather using circular motions. Sandalwood is an amazing skin toner with anti-bacterial, anti-aging, and high amounts of antioxidants. It not only whitens skin rapidly and effectively but helps clear blemishes on your face. Anti-oxidants will also make your face glow. Sandalwood oil can also help with itchy skin, inflammation and dry skin among many other conditions. 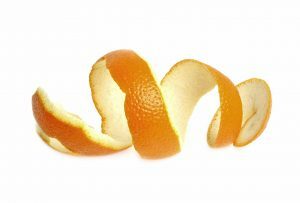 Orange peel contains vitamin C which helps with preventing aging of the skin and can repair discoloration of the skin while citric acid kills any bacteria. It is known to be effective not only for brightening the skin, but also helpful for dark circles and large pores. Not only are yogurt and oatmeal foods you have for breakfast, they make a great face whitening mask! 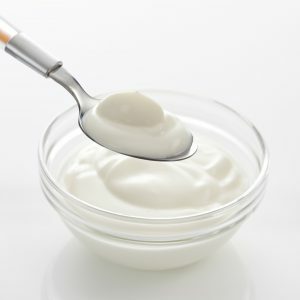 Yogurt is great at lightening and soothing dark and red skin and has been used to reduce the effects of aging for a long time. Oatmeal has also been used for thousands of years to reduce inflammation and dryness – popular in soaps, oatmeal packs a great skin care punch! Read below on how to make this great lightening mask with ingredients you likely already have! Wash your face well with a quality skin cleanser, lathering up your face in circular massaging motions. This will prep the skin for the mask and remove any surface impurities from your face. Whisk the yogurt and oatmeal together to create the mask. Apply to your face and allow to dry, leave on for at least thirty minutes. Wash off with warm water thoroughly. Lactic acid which works to keep your facial skin moisturized while providing nutrients to reduce darkness. B Vitamins, including Vitamin B5 to balance skin tone, B12 to lighten facial skin, and B2 to ensure healthy new skin cells are being created. Zinc to reduce the effects of aging such as circles, wrinkles and lines. Amino acids to help repair skin and brighten any dark spots you may have on your face. Anti-oxidants to help repair skin that may have been damaged by free radicals. Oatmeal’s texture exfolilates skin, an important component of whitening the face to remove dead skin cells that can often be the culprit of dark skin. Oatmeal can also help reduce the appearance of oily skin which in turn makes skin tone look uneven (with oily skin, some areas of the face look lighten than others) by absorbing excess oil. 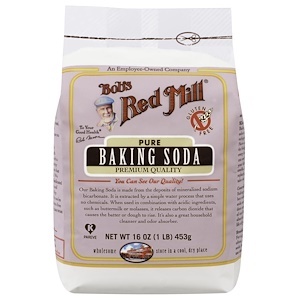 Baking soda is revered for its amazing ability to deodorize, clean, and be a part of kids volcano experiments. But it also can work wonders for whitening facial skin. Combined with lemon juice, this pair will lighten your face and reduce dark spots easily. Best of all, baking soda and lemon juice are probably already in your home! Wash your face thoroughly, using a natural/organic cleanser. Lather the soap on your face using circular motions to massage the soap into your skin. Do this for a few minutes to work in the soap. Then wash with warm or lukewarm water. Baking soda is a known miracle ingredient used in many applications including skin and face whitening. It achieves this through aiding in exfoliating dead skin cells which can be a big culprit for darkening your face. Baking soda helps balance pH levels in your skin to improve the health of the skin and balance out skin tone. Baking soda controls excess perspiration and may help prevent your skin from becoming clogged with bacteria – it is also known that baking soda is anti-bacterial itself further proving its use to lighten facial skin. 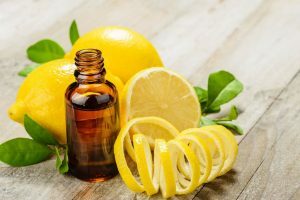 Lemon juice is a age old remedy for whitening skin and hair. The alpha hydroxy acids in lemon also exfoliate your skin and lemon’s anti-bacterial/microbial properties kill any lurking bacteria. 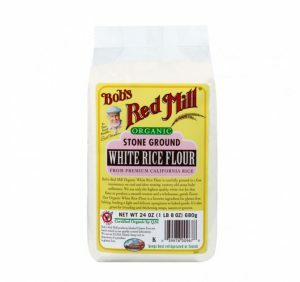 Brown rice flour may be an unknown to many, it is a gluten free flour made from rice that has been finely milled. Some use this instead of wheat flour for baking purposes but rice flour is a good addition to skin care, given it is rich in Vitamin B6 and magnesium among others. Combined with the soothing effects of high quality milk, this lightening mask makes a good way to brighten your facial skin! Plus you can use the leftover rice flour for a healthy snack! First cleanse your face so the mask works better, use a high quality cleanser made from natural or organic ingredients and gently massage into your face using ciruclar motions so ensure you work the cleanser into your pores. Calcium in the milk helps the skin in the face to plan building new skin cells, speeding repair of damaged and dark skin. Lactic acid in the milk actively helps whiten skin tones, especially dark spots. Rice flour exfoliates the skin – removing dead-skin cells to allow the milk to work into your skin for gentle whitening. This is a reasonably gentle mask and can be left for longer period of times. To shrink large skin pores on your face, substitute the milk for sour diary, such as sour cream. Try buying milk made from pasture raised cows. This serum combines many foundational skin lightening powerhouses to dramatically brighten your facial skin. As noted above, Almond and Sandalwood Oils have key vitamins that can brighten skin spots and balance your facial skin tone. If you are serious about whitening your facial skin and improving your overall facial skin, consider this serum. This mixture also helps prevent dark skin in the first place. As with any facial mask or application, your face must be completely clean for the remedy to work effectively. Start with a natural or organic facial cleanser, lather it up and work into your face in circular motions to massage the cleanser into your pores – do this for at least 1-2 minutes so the cleanser penetrates your pores. The high levels of a Vitamin E in the the almond oil prevent dark skin in the first place! Sandalwood oil is a versatile tool in your face whitening quest – it improves skin health with high levels of anti-oxidants, and clears blemishes with its anti-bacterial properties. As an added bonus, Sandalwood oil prevents premature aging in the skin and reduces itchy and dry skin problems. This serum can last at room temperature for some time so feel free to make a larger batch to save time. Turmeric is another wonderful ingredient used for thousands of years in the far east for its medicinal and culinary properties. Beneficial for topical and internal use, we put turmeric to work in this facial mask. Combined with honey, this mask follows an ancient remedy used for centuries! Wash your face well with a organic or high quality facial cleanser, massaging the lather into your facial pores and then washing off with warm water. 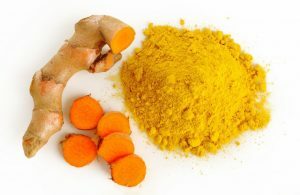 Turmeric effectively blocks the skin from darkening too much, this is in due part its active curcumin. Curcumin’s potency is enhanced by pepper. Honey helps moisturize the skin and also pulls impurities from the face skin with its sticky attributes. Be sure to buy high quality raw organic honey. Cheap honey has been saturating the market and if often made with corp syrup and other fillers. Buying locally produced honey from a local honey purveyor is a good choice. This simple and easy to make mask helps exfoliate and removes impurities while lightening your facial skin. And like the other masks mentioned, the ingredients an be used for food as well – heck, you could even eat the mask! Prepare for the mask application by washing your face using a high quality organic facial cleanser – create a lather and massage into your face using circular motions for at least a minute. 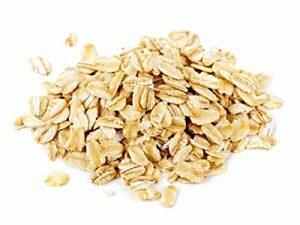 Oats, through their rough texture act as a scrub, helping to exfoliate your facial skin, vital to removing dead skin cells which are responsible for dark skin. Lactic acid in milk helps sooth, moisturize and provide nutrition to your skin to keep it healthy and supple. As noted above, honey helps remove bacteria and impurities from the skin, improving complexion. Have scars or dark spots? This simple wash will help you fade them! Yes, using just lemon can achieve this! Wash your face thoroughly! Use a high quality natural or organic facial cleanser and massage the cleanser lather into your facial to rinse any dirt or bacteria out of your face. Lemon is a ancient technique for whitening the skin. Through its citric acid, vitamin C does the work to reverse dark spots and lighten spots and scars. The following procedures can be done by a dermatologist to whiten your skin. Laser skin treatments are a procedure in which a laser is used to remove damaged, darkened skin, and promote growth of new skin. This treatment whitens the skin right away, and may take only one or two treatments to completely remove dark facial skin. Recovery can take up to 21 days, during which you will have to clean the treated skin daily, and your skin will begin to peel, revealing whiter, brighter skin underneath. Laser treatments can cost $500-3500. Common side effects include swelling or redness of the skin, including blisters, scars, or scabs. Microdermabrasion is a more subtle form of cosmetic skin whitening. It is a form of exfoliation, where the skin is polished with a specialized instrument. It flushes away the dead, outer layer of skin, to reveal the brighter, newer skin underneath. You can get instant lightening results from a microdermabrasion treatment with little risks or side effects. 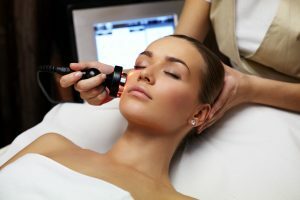 Microdermabrasion usually costs $100-200 per session. You will need several sessions to get maximum results. Cryosurgery makes use of liquid nitrogen to destroy and remove damaged skin cells, revealing the brighter skin that lies underneath. This is a non-invasive and painless procedure. Cryosurgery has less of a risk of blistering than laser treatments, and usually cost $500-900. Here are some final beauty tips for face whitening, and how to avoid dark facial skin. Wear sunscreen every day, especially if you are using a face bleach or cream or having cosmetic treatments done– these bleaching agents can cause UV sensitivity, which means that you are even ore susceptible to sun damage and sun spots. 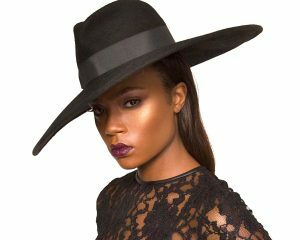 Wear a wide-brimmed hat anytime you’re outside. Use a weekly whitening face mask. A good idea is to make your own at home, using any of the above recipes. Eat plenty of citrus fruit, leafy greens, nuts, and fish. Stay in the sun for a long time, especially if you’re using a face bleach or cream or undergoing cosmetic treatments. Overuse bleach cream for face containing hydroquinone (weekly is best). Consume too much copper: 900 mcg for adults, 1000 mcg for pregnant women, and 1300 mcg for breastfeeding women. If you suffer from or are concerned about dark facial skin, the best thing to remember is that there are options for you to prevent and heal your skin. Try any of the options provided on this list and remember to take preventative measures as well. If your dark facial skin is severe and you want immediate results, talk to a dermatologist about your treatment options. Hi Anabelle great post very informative and well written on skin lightening. After my second child I have malasma on my upper lip. 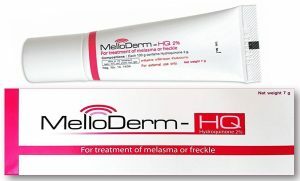 I was just reading this review on meladerm hyperpigmentation cream over at https://lighteningyourskin.com/meladerm and was wondering what your views are on this stuff if you have used it? Hi Robyn, I have not personally used Meladerm but during my research have found many persons who have with good success. Like any treatment, the key is to test it out slowly to see if it reacts well with your skin.